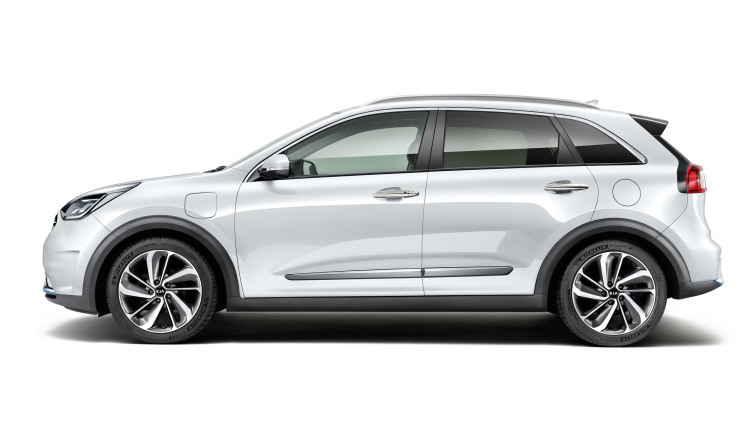 The Niro is Kia's surprise to the green car industry. They've placed the crossover into a competitive segment that includes the hybrid-king Toyota Prius, and with the Niro Plug-In Hybrid, they may be at it again. The model was unveiled at Geneva and it packs a significantly larger battery pack for all-electric range and better fuel economy, making it a techy package for the average consumer. The most noteworthy difference for the Niro PHEV is the powerplant. Whereas the normal Niro Hybrid has a 1.56 kWh battery, the plug-in hybrid amps it up (I'm sorry) to an 8.9 kWh unit. This allows the variant to travel an estimated 25 miles on electric power only, a certainly respectable figure. That steps into the range of the Toyota Prius Prime, a staple in the segment. Although you do get more juice, you have to pay for it in terms of storage room. Since the battery pack is indeed larger, you have to sacrifice about 3.5 cubic feet of luggage space, though Kia says the rest of the cabin is unaffected. Regardless, your passengers will still fit just as comfortably in your eco-conscious ute. Surprisingly, the PHEV offers something that the standard Niro Hybrid doesn't -- a towing package. With the extra power, the Kia will reportedly be able to haul 2,900 pounds. The automaker didn't confirm if this option is coming to the U.S., but it does prove the vehicle's added capabilities. You'll be able to distinguish the plug-in hybrid from the standard Niro if you look really hard. There's a host of blue accents that find their way throughout the car's exterior, displaying the differences in a subtle manner. The stripping between the doors is also finished with chrome whereas the standard model featured black rubber. Perhaps the easiest way to tell the two apart is the square projectors in the headlights of the plug-in model, differentiating itself from the circle-style lights on the Niro Hybrid. 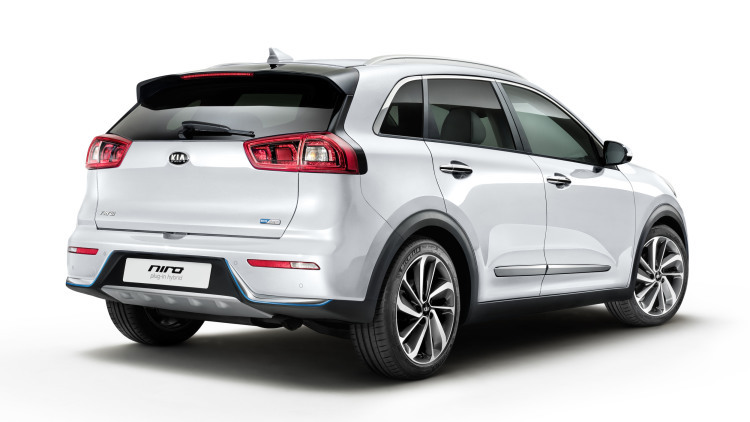 Kia claims that we will see the PHEV in America before the year is over.